Sharon and I went to the Islands on the Saturday before Easter! 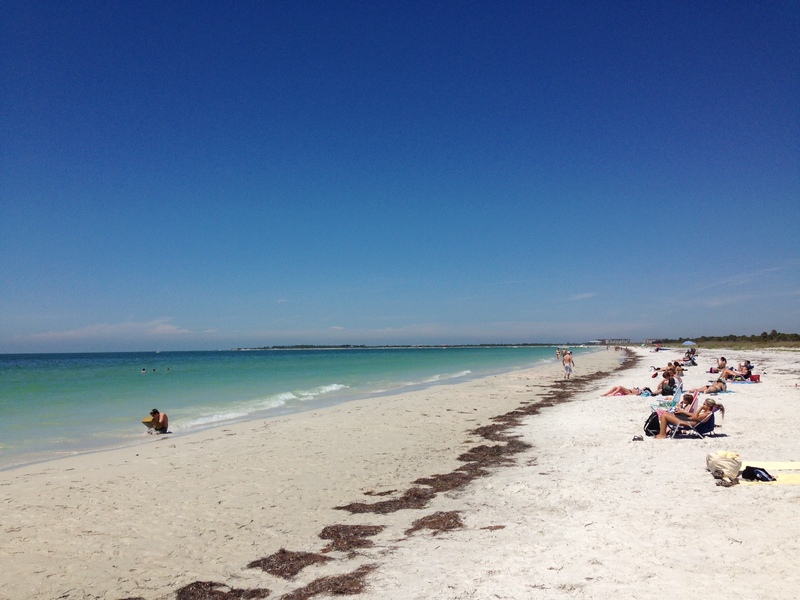 Caladesi and Honeymoon to be exact, and I think everybody in the state of Florida had the same idea……. It was crowded to say the least at both parks. I walked quite a ways to find some open area to fish. Since Sharon is plein air painting at all the state parks, we had advanced reservations to get on the ferry to Caladesi, or I am not sure if we would have made it. 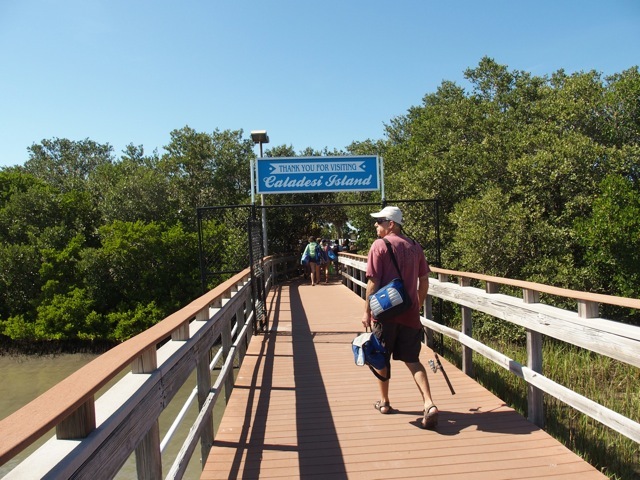 Honeymoon Island is a short causeway drive from Clearwater, and Caladesi is only reachable by boat. The park has a few pontoon ferry boats that shuttle patrons back and forth. 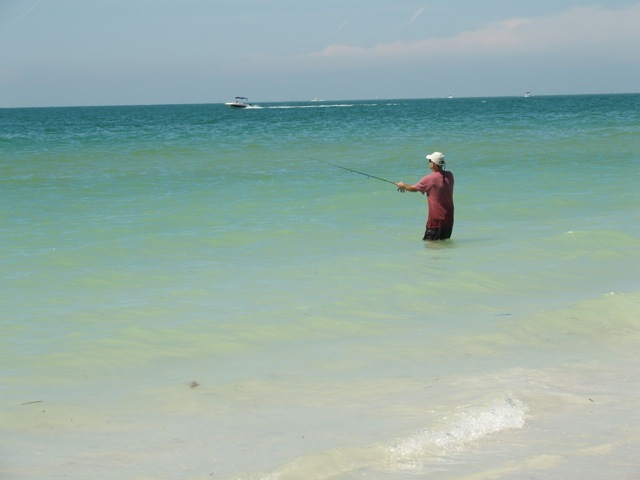 We went to Caladesi first, and I decided to wade the gulf for some early snook or trout. I was surprised by the action, but not so happy about the type of fish. I caught about a dozen Lady Fish, or “poor man’s Tarpon” as some call them. They are fun to catch, but not so fun to remove the hooks sometimes since they really like to thrash around. They sure make some nice jumps and get the attention of the beachgoers! I did end up catching a “double” with two Jack Crevalle which was a nice surprise. Those Jacks can really pull, and getting two of them on one plug is a nice fight. 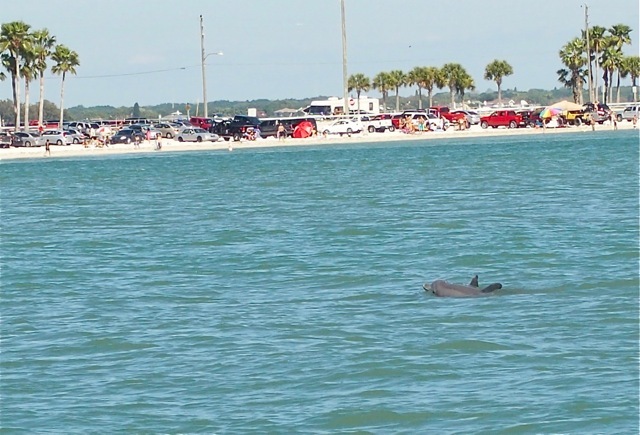 On our way back we got a nice visit from a few dolphin that followed our boat back to Honeymoon island. 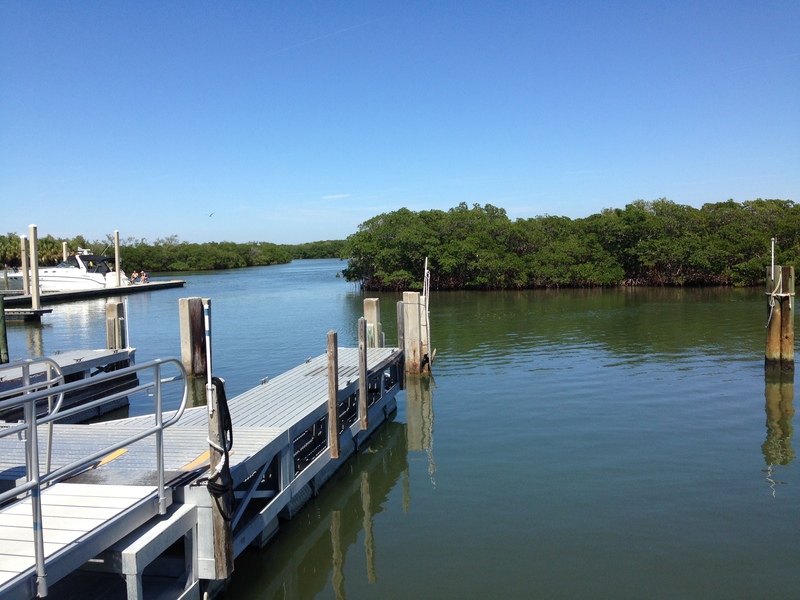 I tried wading in the gulf there, but to no avail, so I moved to the bay side, and caught a small lady fish. We had a real nice day, and even though I did not get any trout, snook, or reds, the action with the Lady Fish kept me entertained. This entry was posted in Uncategorized on April 14, 2015 by shurstrike.